How do I find an Atlanta Lawyer? - If you or a family member has criminal charges filed against them in Georgia and a court located in or around Atlanta will be handling the case. - If you or a loved one has been injured in an accident or other event in the Atlanta area. - A state agency located in Atlanta or a city agency using city rules are a part of your case. Once you find a prospective Atlanta lawyer, make sure to bring all aspects of your legal issues to the table. Your lawyer will be able to evaluate your situation and provide insight and advice only when you provide what you are facing and what you want to accomplish with legal representation. Supply any and all information to the lawyer, even if you believe they may harm your case or just be personally embarrassing to you. Any lawyer you consult with in private must abide by the rules of confidentiality as outlined in the rules of professional conduct for the state of Georgia. Atlanta lawyers can be found both within the city limits and the outskirts in the suburban areas. Many lawyers will advertise in their immediate area, using television, radio, and even billboards on the side of highways. You may also have seen advertisements for lawyer referral services and other similar organizations that promise results and make claims that they will win your case. You should always be wary of such claims and only select Atlanta lawyers based on their true experience and skill levels. Consider looking into the years of experience, the reputation in the community, and any other unbiased information that you can find about an Atlanta lawyer. 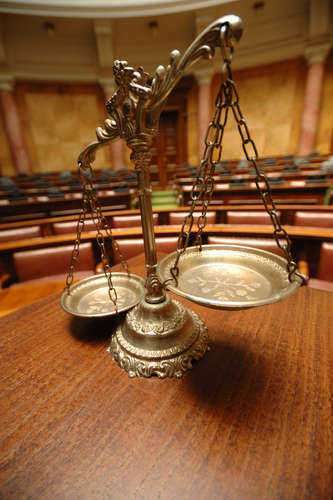 This website can provide you with a great start in your search for a qualified Atlanta lawyer. Use the search function at the top of the page to both find and compare Atlanta lawyers. Remember to look into their expertise and practice area. It is important that you seek the help of a qualified Atlanta lawyer who has a strong knowledge and connections to the Atlanta area. Rules, customs, and even laws can be very different from region to region, so selecting a lawyer who has specifically worked in a region is often necessary for the best legal representation. Even more precise should be the type of practice an Atlanta lawyer practice. Only select a lawyer who has specialized in the area of the law in which you need help before hiring. Come to your meeting with your lawyer prepared to discuss all aspects of your case and to give a detailed account about the events leading up to and after the matter. Bring all legal documents and important papers that you have. This will be highly dependent on your type of legal case, but often you should bring medical records, police reports, and any court documents. Also have the detailed facts ready for discussion with your lawyer. Know the names, places, and dates of the major events. Prepare questions for your lawyer to answer. This can help you learn about the legal process, about what you can do to help your case, and any other important information you may need. Any lawyer in Georgia must have graduated from an accredited law school in the United States, meet the character and fitness requirements of the Georgia State Bar, and pass the bar examination for the state of Georgia. While these are the minimal requirements of all lawyers, you should specifically look into the experience and quality of Atlanta lawyers before making a selection. Check with the Georgia State Bar Association for more information. Advertisements may provide you with a good source of information about the names and places of Atlanta lawyers in your area, however you should not rely on these ads when selecting your lawyer. Instead, conduct some sort of research about the lawyer or firm you will be hiring to make an educated decision. Atlanta lawyers should have a strong knowledge of Georgia law while knowing the specific rules and customs of local Atlanta courts. Atlanta is the largest city in Georgia and is home to most of the lawyers in the state. All sorts of lawyers can be found in Georgia, ranging from general practitioners all the way to the highest corporate lawyers. When you meet with your lawyer, ensure that he or she has a personality that matches your own. You will be in a professional relationship with this person for months or even possibly years. It is also very important that you ensure your lawyer is trustworthy. Check with the Georgia State Bar Association if you are unsure of your lawyers background. They can provide information about any ethical violations or consumer complaints that have been made against the lawyer. The fee structures of Atlanta lawyers can vary widely depending on the experience level of the lawyer, the type of law involved, and how much legal work will be required. Always be aware of the legal expenses you may incur and get all agreements in writing. A contingency fee is collected by a lawyer only after successful completion of a legal claim. The lawyer will take a percentage, usually between 30% and 40%, of the total amount award to the client. An hourly or flat fee is payment made to the lawyer whether the lawyer wins or loses the case. Hourly fees can be quiet expensive, depending on the credentials of the lawyer. Flat fees may be used for one time legal help and specific legal work. What are your fees and what expenses should I expect to incur? What services will you provide me for those fees? How long should my case take and what do you expect will be the outcome? When will you contact me for updates on my case and to ask me to make important decisions? When searching for lawyers in Atlanta, it is important to consider the different specializations and areas of the law that certain lawyers work in. The most important distinction that should be made is the difference between criminal law and civil law. Criminal law is enforced by the state and punishes members of the community who act in violation of the criminal statutes. The state is responsible for prosecuting these people and they must defend themselves in a court of law or agree to plea bargains with the prosecuting lawyers. Atlanta may provide criminal defense to those who financially can't afford private lawyers. Civil law involves wrongful injuries, family matters, real estate transactions, and contracts among other areas of the law. Civil lawsuits must be initiated by a community member to enforce their rights against another community member in Atlanta. Attorney/Lawyers in the area can help with these areas of the law, however they will generally work in a specific area to develop and expertise and exclusive knowledge for their practice. Car accidents and the injuries that result are the most common ways in which civil lawsuits are filed in Atlanta. Personal injury lawyers that work in this area of the law will often take cases from those who are injured and charge a contingency fee. The awards from these accidents can be very large or very small, but almost always will require many months or years battling with insurance companies in a court of law. The termination of employees can lead to extensive legal claims in regards to wrongful termination, discrimination, or harassment and unsafe condition lawsuits. The lawyers who work in this area of the law have the abilities to help clients through the difficult court procedures and filings they need in order to protect their rights. These lawyers will also work directly with the Georgia employment agency that governs the working conditions of workers throughout the state of Georgia. Premises liability lawyers work both with those injured while on another property or work with property owners who are seeking to keep their premises safe to avoid potential lawsuits. These lawsuits can really cause a significant financial burden on property owners and small businesses, especially when an injured party shows that no steps were taken to ensure the property was made safe. Slip and falls are the most common form of premises liability, which commonly occur whenever a customer or other invited user of property falls due to an unsafe condition. Try using the various directories and listings available in the Atlanta area when searching for a lawyer. These listings can provide you with the names and locations of lawyers in your area. While they can provide a good start, it is still important to discover whatever possible information you can about your lawyer prior to hiring them for their services. Contact the Atlanta Lawyers Volunteer program if you wish to seek the help of a lawyer but cannot afford the financial burden. These groups will typically help aid those in need to protect their legal rights.